A state representative who was named the Democrats' "Freshman of the Year" spent some time in jail Tuesday night. State Rep. Ron Reynolds (District 27), a managing partner at Brown, Brown and Reynolds Law Firm, is accused of illegally soliciting legal cases. Reynolds, 38, whose district includes Fort Bend County, was arrested Tuesday. He posted a $5,000 bond and was released after midnight Wednesday. He will make his first court appearance Thursday. According to Fox 26 in Houston, another Houston attorney, Marcela Halmagean, filed a complaint against Reynolds that led to his arrest. The complaint alleges Reynolds used an individual to solicit Halmagean as a client when she was involved in an auto crash. Texas law prohibits soliciting a client for legal services, and just last year, the Texas Legislature passed a statute that makes barratry a civil as well as criminal infraction, allowing civil suits to be filed. 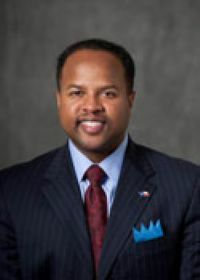 Reynolds, a former municipal court judge, past president of the Houston Lawyers Association and an adjunct professor at Texas Southern University was named "Freshman of the Year" in 2011 by the House Democratic Caucus. But the barratry charge is not the first time Reynolds has been in trouble. He was previously fined $10,000.00 by the Texas Ethics Commission for refusing to file legally-required disclosure statements. A KXAN News investigation shows that as of June 1, 2011, Reynolds owed the Texas Ethics Commission nearly $10,260 in fines relating to failure to file the required financial disclosure reports required of candidates for public office and officeholders. The Texas Attorney General's Office took Reynolds to court to collect the fines, and the lawmakers now owes the AG $2,500, plus interest, in court costs, the investigations shows. The Texas Comptroller's Office is now garnishing his legislative salary to collect the debt. He also failed to submit his Personal Financial Statement for 2008, 2010 and 2011. Failure to file a Personal Financial Statement is a Class B Misdemeanor. If convicted, the penalty is up to 180 days in jail, a fine of up to $2,000, or both. Someone with no ethics and very questionable character. Please tell us how you have no mugshots listed online.